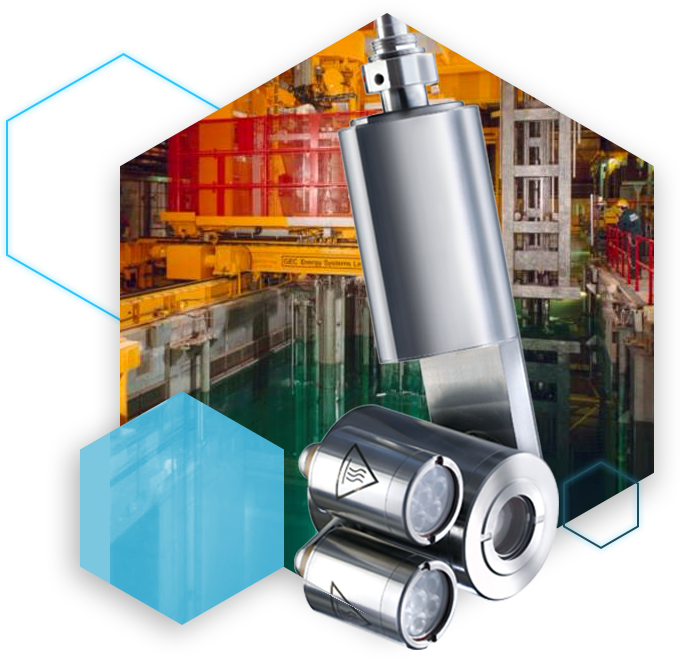 Mirion’s Measurement and Expertise (M&E) group delivers exceptional technical expertise and experienced staff to solve your nuclear measurement challenges while saving cost and time. Our Measurements and Expertise (M&E) team provides services to measure and analyze nuclear material more efficiently. This team benefits from high level experts around the world with a combined 500 years of field experience. Having Mirion’s Measurement and Expertise on your side ensures the quality of results, the safety of your site and innovative solutions customized for your needs. Above and beyond its unique expertise, the M&E team leverages Mirion’s unique nuclear instrumentation. When addressing the complex measurement challenges in the nuclear industry, we deliver measurement solutions for a wide range of radioactive materials - for example, depleted-to-highly-enriched uranium, plutonium, actinides and transuranic wastes as well as fission and activation products. For fuel cycle facilities, we offer unique Criticality Accident Alarm Systems (CAAS) with neutron and gamma detections for optimum false alarm rate. 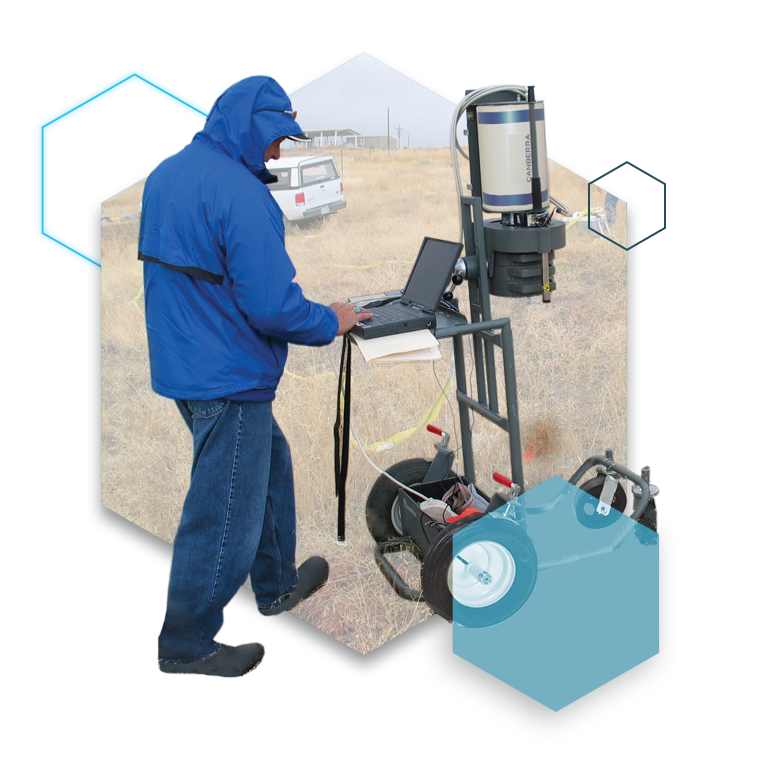 Our radiation tolerant inspection and surveillance systems, whether permanently located within the plant or used in portable or temporary configuration are designed to survive the hostile environments frequently encountered. Our high temperature imaging systems combine temperature measurement, real-time video, and image processing into an enhanced video experience showing measurement information overlaid onto a live video image. From standalone manually-loaded systems, to fully-automated systems which provide greater throughput and minimize personnel exposure. Mobile system configurations are also available, including ISO containers or semi-trailers. Mirion partners with its customers to configure the appropriate solution to help address site requirements, reduce operating costs and lower personnel exposure levels to meet ALARA program goals. 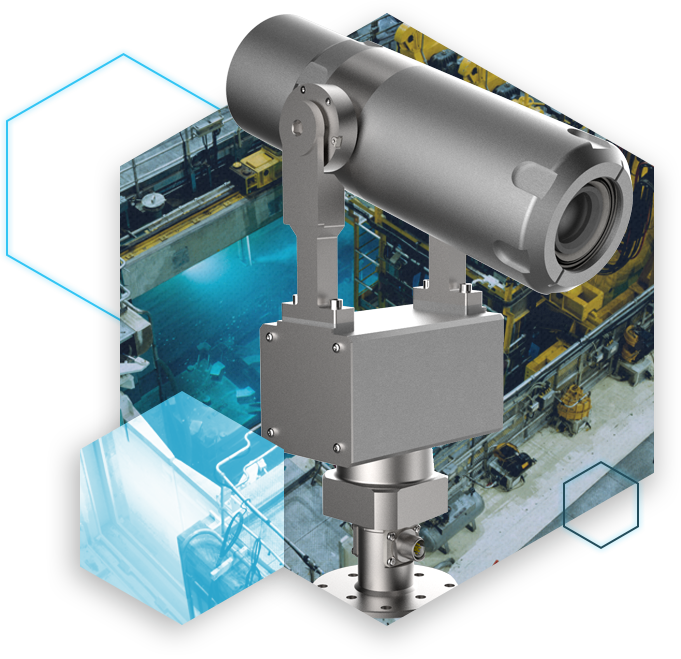 The Dotcam HR is a miniature color camera designed for use in higher radiation environments where the use of standard CCD based camera is not cost effective. 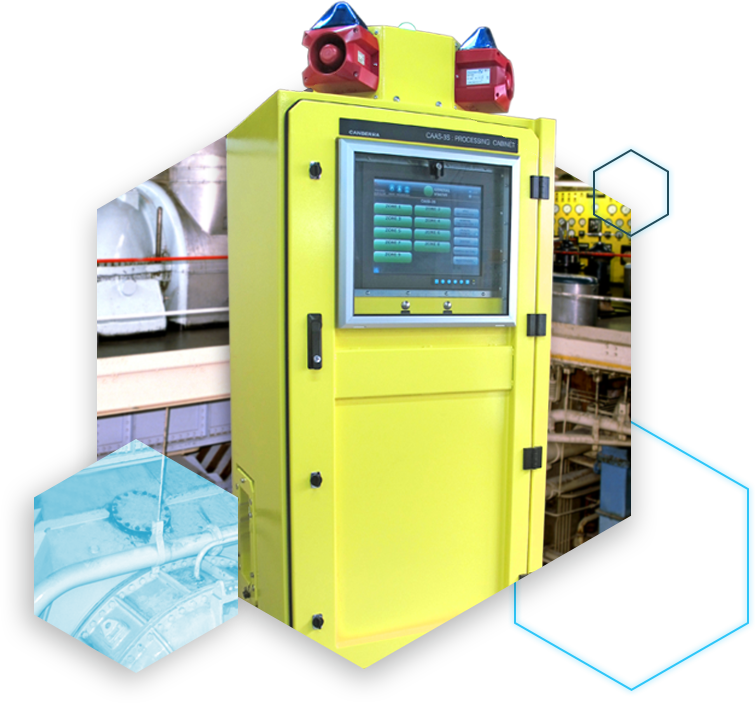 The CAAS-3S unit is a criticality accident alarm system (CAAS) as defined by the relevant industry standards. The system is designed to monitor areas where a potential criticality excursion could take place and alarm rapidly for the prompt evacuation of personnel in the event of a criticality accident. Flexible system for the characterization of a variety of bulk waste containers. 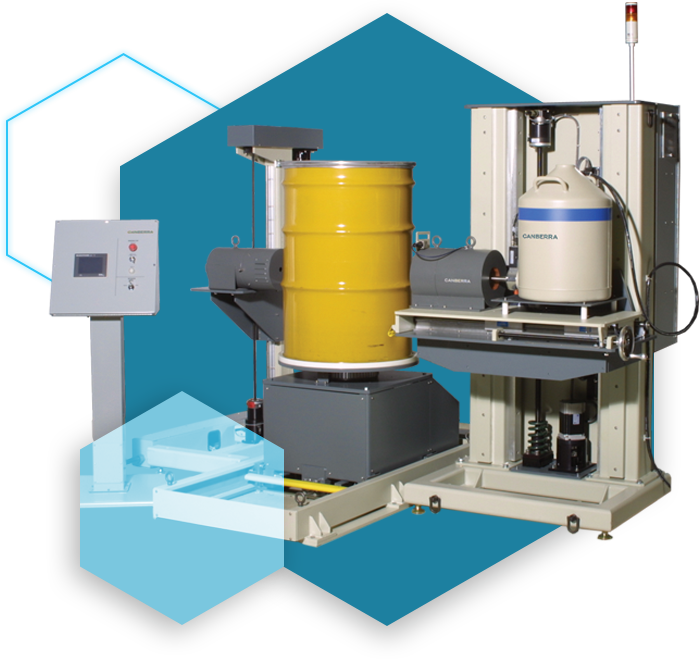 A transportable system for the characterization of large waste containers.